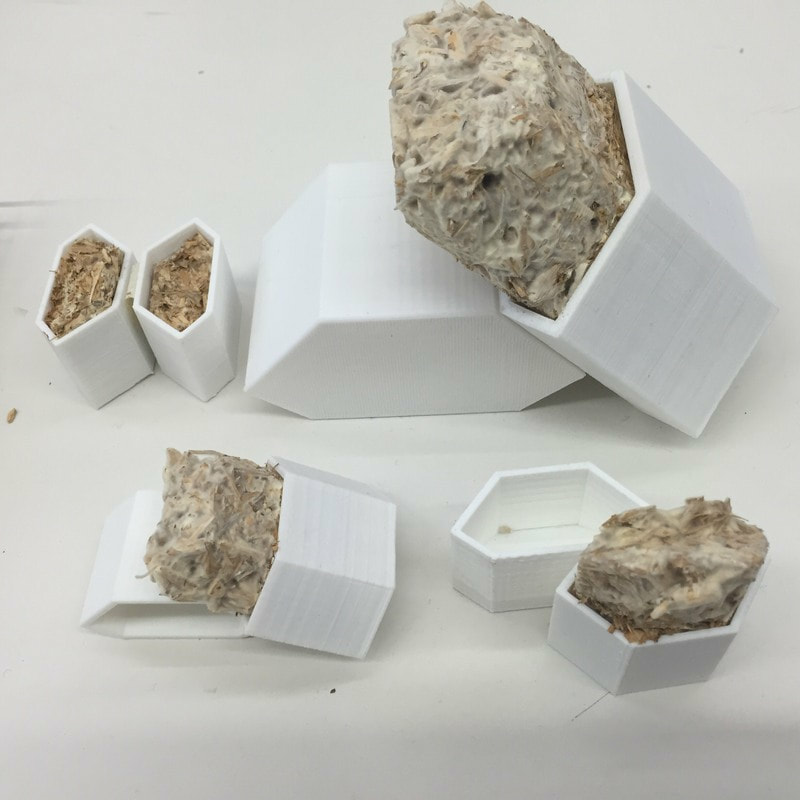 A project exploring the pairing of mycelium based building materials with a lightweight 3D printed space frame. This is a low footprint, lightweight, sustainable and modular pop-up systems for retail display. Materials include bio fabricated mycelium panels and bio-fabricated bacterial cellulose translucent insets. Project involved extensive material and digital fabrication research. 2016: Nourishing Dhaka: The design of an innovative, scalable, low-cost, sustainable community for climate change refugees incorporating novel material research into Mycelium based building materials paired with textile waste which is a readily sourced material in the region due to the sprawling garment manufacturing economy which produces a majority of the low cost fast fashion available today and is a source of low wages and persistent economic disenfranchisement particularly of those living in these ecologically fraught areas. Generative algorithms and parametric design methodologies were utilized to optimize formal properties for structural integrity and site specific conditions. Extensive material testing and digital fabrication research was conducted resulting in hundreds of small scale models and large full scale fabricated material prototypes. Bangladesh houses the most climate refugees of any country with many fleeing from the rural south into the capital of Dhaka, the world’s fastest growing megacity, home to 17 million people. In Dhaka, a majority of this population live in slums and there is a pressing need for low-cost, scalable housing solutions. Thesis research primarily focused on vernacular and cultural typologies, materials and ecology, incorporating experimental design and construction methods. Extensive material research involved the creation of a novel set of mushroom based bricks prototyped at full scale. These carbon-sequestering infill bricks, composed of agricultural and textile wastes, sawdust, and oyster mushrooms may be grown at little to no cost. The proposed geometry allows the bricks to simultaneously act as planters for agriculture, air filtration, and soil carbon sequestration. Mushroom bricks are waterproofed using blown flax oil polymerized through oxidation and natural shellac made with alcohol and the resinous secretion of lac insects. Using the vernacular methods of the Namoshudra people of southern Bangladesh, the primary structural framing is composed of bamboo lashed together with jute twine. The bamboo framed structures sit atop timber friction piles. The upper faces of the building are enclosed using heavy-duty bioplastic shrink wrap and ventilation is controlled through the use of specialty zippers. Building form was based on the functional parameters of vernacular typologies and optimized through the use of a genetic algorithm. Rigorous iteration was employed for the development of thoroughly studied formal outcomes. The initial seed community is comprised of 27 single family homes, 9 bathhouses, 7 communal kitchens, a large community center and brickmaking/drying/shop facilities. Additionally the project poses a series of floatable rafts which can be deployed for small scale agriculture and livestock use with the capability of adjusting to rapidly shifting water levels. Given by the Architectural Research Centers Consortium (ARCC), this award is given to one student per ARCC member college, school, institute, or unit. Selection of recipients is based upon criteria that acknowledge innovation, integrity, and scholarship in architectural and/or environmental design research. Awarded to Jordan Solomonic, Undergraduate Thesis Student and Design Futures Lab Research Assistant for his project: Nourishing Dhaka (Supervised: 2015-16). Given by the Department of Architecture + Interiors, Westphal College of Media Arts & Design for the top undergraduate Architectural Thesis Projects. 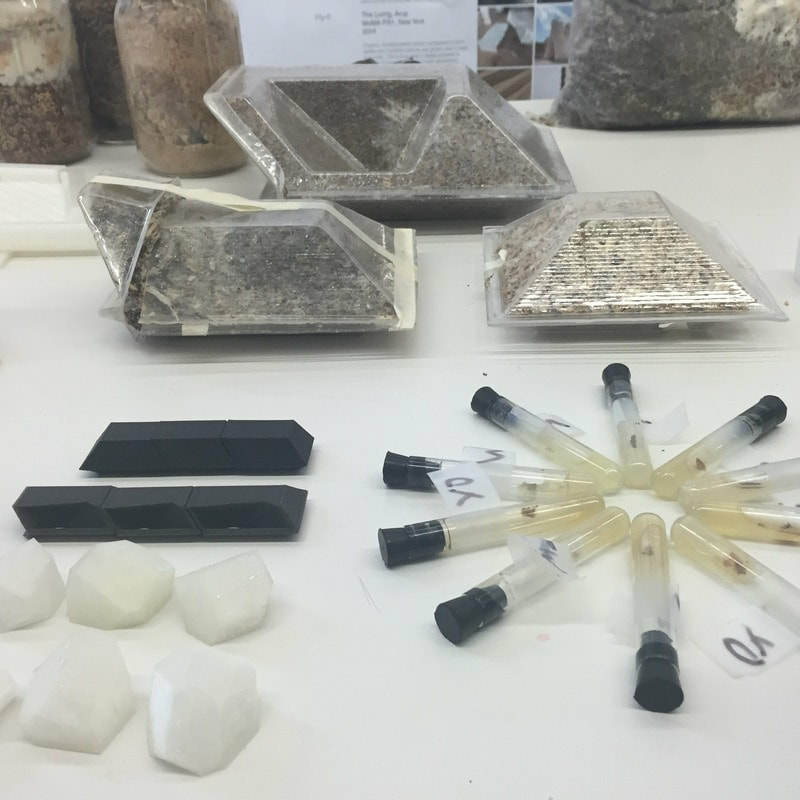 This thesis project focused on low cost refugee housing using materials outside of the cash economy with design research into the potentials of mycelium based architectures.